Looking for reliable and affordable Computer Repairs, Services and Help in the Eastwood area? Geekmobile is a Friendly, experienced Computer Repair company operating at Eastwood. Our Technicians are of the highest standard and we fully cover Eastwood and the surrounding suburbs including Waterfall Gully, Urrbrae, Stonyfell, St Peters, Rose Park, Richmond, Parkside, North Adelaide, Millswood, Linden Park, Hyde Park, Hilton Plaza, Fullarton, Eagle On The Hill, Dulwich, Cumberland Park, Clarence Park, Beaumont, Thebarton, Rundle Mall, North Adelaide Melbourne St, Mitcham Shopping Centre, Malvern, Keswick Terminal, Hawthorn and Everard Park just to name a few! Eastwood is serviced by the techs based in these suburbs and surrounding areas: Matt (Parkside), Dhriti (Unley) and Drake (Unley). Cleaned up the system, window optimized. showed how to make backup and answered all customer's queries. 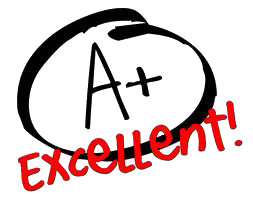 "Very satisfied with Duane, really knows his stuff, would reccommend him any time Hal Lepik"